Prime opportunity, at a greatly reduced price. Own and operate one of Tahoe's premier restaurants including the valuable real estate. Situated less than a mile from the scheduled new Convention Center at the Stateline of California/Nevada, South Lake Tahoe, this restaurant is located in a free standing building has a full liquor bar - and liquor licenses in El Dorado County have sold for $200,000+. This restaurant building was built originally in 1975. It features 3,000 Sq Ft inside accommodating approx 100 seats with a large 2,000 sq ft outside fenced patio and garden area seating another 100. There is ample parking on an approx 0.50-acre lot. It was originally designed to operate on the first floor only and has since been expanded to include a 2nd floor Bar/Pub and late night music venue. On the first floor there is a quaint dining room and Cocktail bar with an extensive Wine list which complements the upscale dining menu. 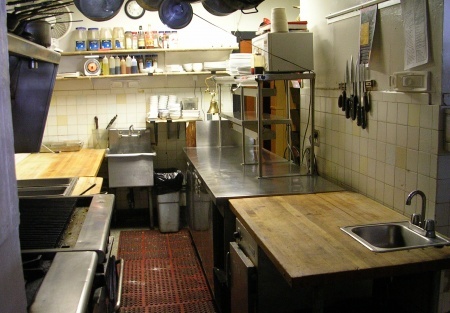 Many upgrades were completed in 2006 with around $125k spent on remodeling and modernizing both the Pub and Restaurant. The show Kitchen sits proudly in the middle of the building allowing service for both floors to be easily accommodated. The building stands alone and makes the perfect setting for a sit-down full service dinner or a casual drink in the garden glancing at the Lake and Mountains. The many wedding receptions and private parties served are witness to Tahoe's beauty and the buildings versatility to accommodate groups and events without losing the many regular customers. The 2nd floor, popular Bar/Pub is one of Tahoe's happening nightspots for the locals and tourists alike and has an intimate club like feel. The contemporary menu has no competition in town and has been developed to encourage tastes from around the globe. A high value, El Dorado county, type 47 Full Liquor License is included with this sale. These Licenses typically sell in the hundred thousand dollar range. Presently only the Pub on the second floor is open for Lunch and Dinner while the 1st floor Restaurant is only open for Dinner, therefore there is huge scope to increase business by opening for Lunch, seven days a week, especially in this Tourist location. Annual sales at this restaurant in the recent past have exceed well over $1 million. Unfortunately the current operator has not done a great job at building the business for whatever reason. There is nothing but upside and great opportunity here for not only adding lunches but also catering and special events like weddings and anniversaries. The agent of this listing owned this business many years ago and can provide the history of the business' performance. TAKE THE NEXT STEP. Do you want to know what restaurant this is? Then become a memeber of SellingRestaurants by simply selecting the golden button titled "want name and address."